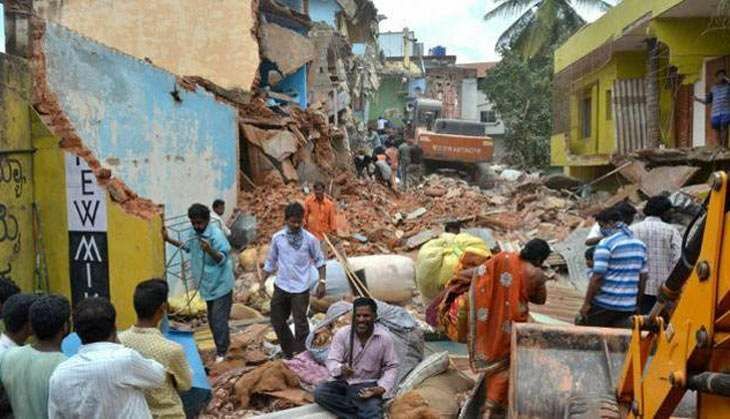 After facing flak from all quarters for including a portion of NSG commando Niranjan Kumar's house in Bengaluru in a demolition drive, the Karnataka government has gone into damage-control mode. The Bruhat Bangalore Mahanagara Palike's (BBMP) demolition drive is a bid to get rid of the encroachment on storm water drains in the city. The demolition drive has been suspended and the residents have been given time till 16 August to vacate. Kumar was killed in the attack on the Pathankor air base in January this year. The slain lieutenant's brother Shahank said that the BBMP should have consulted the family before going ahead with the demolition. "It's not a common man's house, It's a national hero's house. They need to consult us first. They just marked it (Pillar of the house) and left. We will have a word with officials and then decide on this," Shashank told ANI. "If demolition is really required then we are ready, just requesting them to give us some time so we can build a new pillar across it. We haven't spoken to any of officials yet, so we haven't got any idea on what is going to happen," he said. "We should give respect to the family which has made such a sacrifice," BJP leader Jagdish Shettar said. Taking note of the matter, Karnataka Home Minister G Parmeshwara said: "Government can give alternative site to them to build another house." While Shashank had denied talking to any official, BBMP Assistant Commissioner S Alam thanked the family for cooperating. "Salute Lt Col Niranjan's parents for cooperating and agreeing to demolish the encroached portion," Alam told ANI. Independence Day 2016: Get azaadi from routine meals. Breakfast to dessert, tickle your palate!